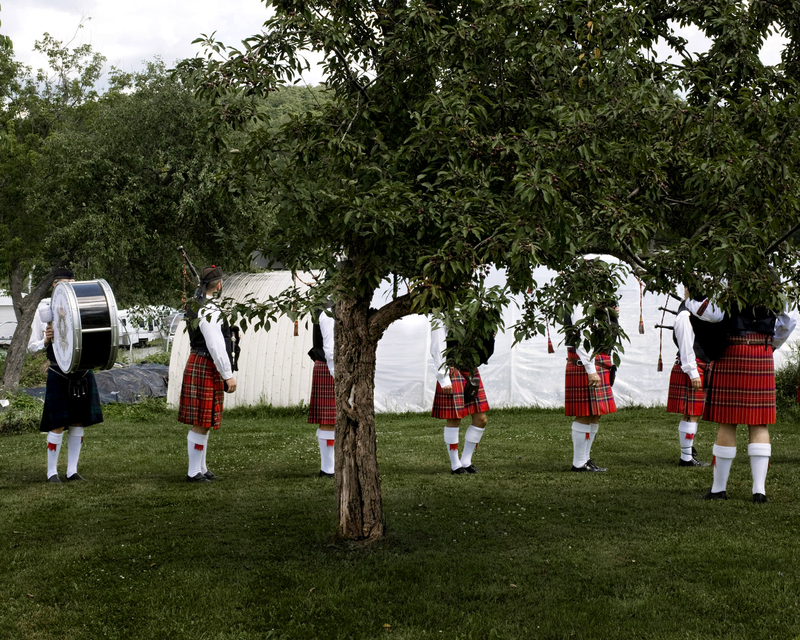 Each year, a Gaelic music festival in Inverness County, Quebec honors the region’s first settlers: Scots who were forced out of their land during the Highland Clearances. Members of the Black Watch, the oldest Highland Regiment in Canada, take part. Inverness County, Canada, July 2014.